Urban Rec is proud to support a variety of charitable endeavours over the course of the calendar year! In May, the Urban Rec team participated in the Workout to Conquer Cancer challenge. This involved each person getting at least 60 minutes of exercise each day for the entire month! The UR team raised over $2500 for this great cause and managed to work on their beach bods (sort of) in the process! The Urban Rec team is registered to participate as a Partner For Life. We want to help raise awareness of how easy it is to donate blood and we're committed to donating at least 15 units of blood as a staff group this year! Want to join our team? 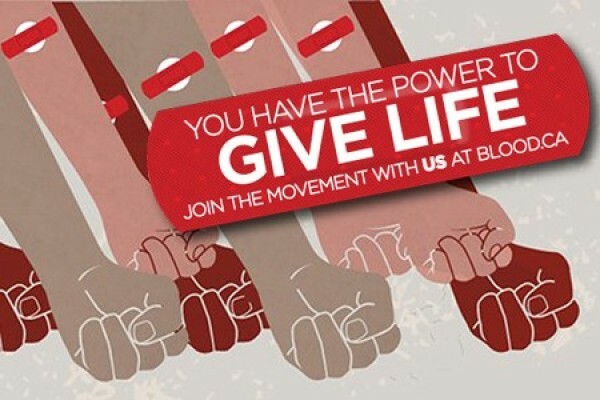 Go to https://blood.ca/en/partnersforlife and register using our code URBA075319! A4K held their annual charity golf tournament on July 30th, and Urban Rec hosted one of the holes in partnership with one of our clubhouses, Ceili’s in Richmond. Golfers could win a gift certificate to Ceili’s as long as they hit the fairway over 150 yards out! 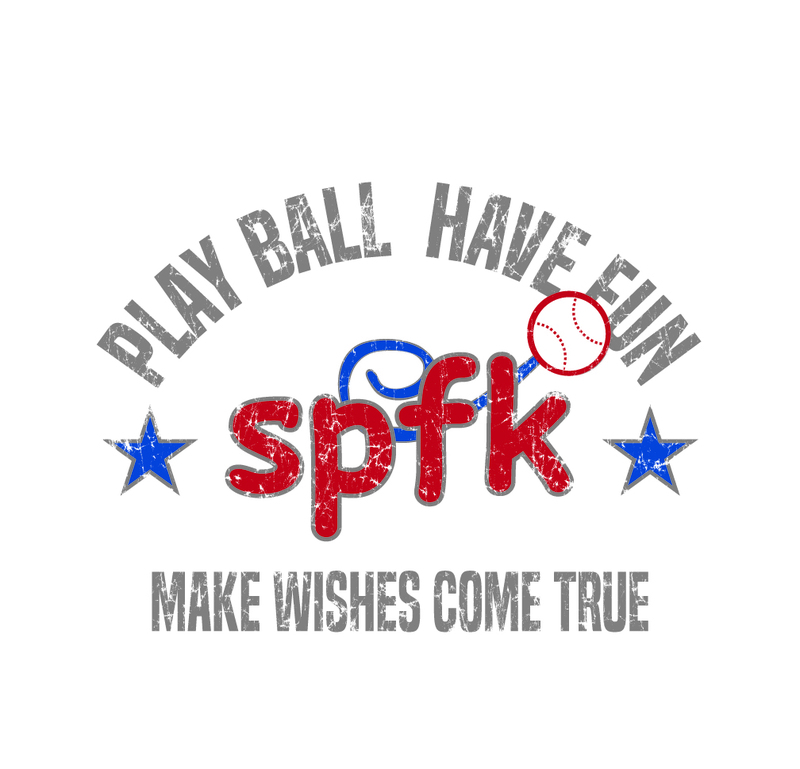 A group of slo-pitch teams has supported the Make-A-Wish foundation for several years, helping to send children on experiences of their lifetimes! 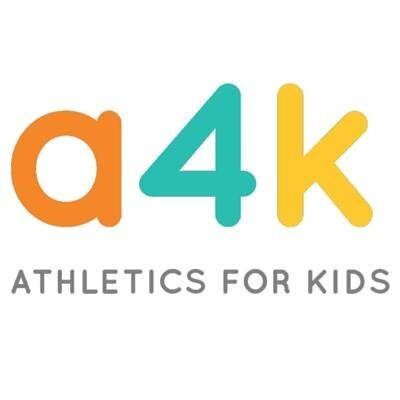 Many of these players are Urban Rec staff or participate in Urban Rec leagues, and we wanted to help by partnering with the Whitecaps this summer to raise funds for this worthwhile charity! 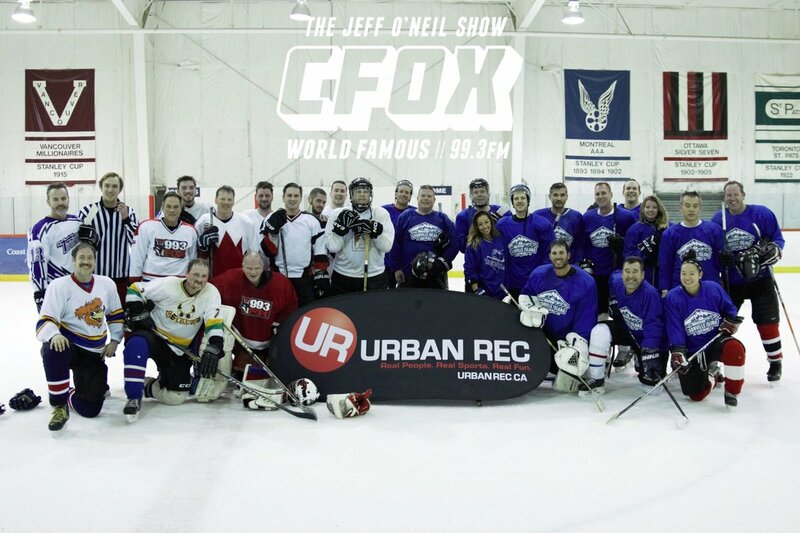 The Urban Rec office (and friends) challenged the CFOX Hockey Team this winter with the goal of raising urgently needed funds for the Music Therapy Program at BC Children's Hospital while at the same time having fun. To date, the CFOX Hockey Challenge has raised over $310,000 to support BC's most sick and injured kids. Via a fun-filled game on Nov. 22nd, we’re proud to say we helped to raise $1680 for the BCCH musical therapy program! Urban Rec took part in the Movember challenge to help raise money for men’s health. Several staff in the office sacrificed their model good looks and grew their best moustaches over the course of the month. In total, Urban Rec was able to raise $1,055 for men’s health research and awareness.